Our high quality services are recognised regionally and nationally, with awards being given for our variety of services, including our Community and Vocational Services, Port Sunlight River Park, and our residential and respite services. Autism Together works hard to provide an outstanding quality of care for those on the autism spectrum, and these awards and accolades are a testament to the care and services we provide. Charity Times Awards 2018 – Shortlisted for Charity of the Year (with an income of more than £5m). We wouldn’t be Autism Together without our amazing supporters. Whether it’s making a donation, endorsing a campaign or simply spreading the word, our supporters help us raise the vital awareness and funds that are needed to help those in our care. A lot of them hold autism close to their hearts; some have family members on the spectrum, others have cared for people on the spectrum, and some simply want to do their bit to help raise awareness. Without these fantastic people Autism Together wouldn’t be able to reach as many people as we do now, so we thank you for everything you have done. Christine McGuinness, wife of TV personality Paddy McGuinness, has been involved with Autism Together since we launched our Future 50 Appeal in 2018. Born in Merseyside, Christine has three children; twins Penelope and Leo, who were diagnosed with autism in 2018, and Felicity. Christine lent her support to the Future 50 Appeal by appearing in a fundraising video promoting the appeal and campaign. In the video she talks about her hopes and dreams for her children and her wish that they will live ‘in a world that is more understanding about autism’. Christine and her husband are huge advocates for autism awareness and Autism Together are extremely grateful for their support. Rafa and Montśe Benitez have been great supporters of Autism Together since they founded The Montśe Benitez Foundation in 2011 to help raise money for local charities.They have contributed in many ways since their first donation of £5,000 in November 2011 after an appeal for funds to refurbish our narrow boat. In September of the following year, on hearing of the benefits of iPads for people with autism, they kindly donated 8 iPads and two more in April 2013.In 2014 the Foundation organised a Golf Tournament at Caldy Golf Club which realised the fantastic sum of £8,00 for our Respite Appeal. Both Rafa and Montśe have been guests at various functions such as the opening of our new residential centre, The Willows; they also attended its launch. Autism Together are continually grateful for all their kind and generous support. Team GB gymnast, Luke Strong, has been a supporter of Autism Together’s active fundraising efforts, and visited a group of colleagues in 2017 to give them advice before they embarked on a world-record-breaking 25-hour trampolining marathon. 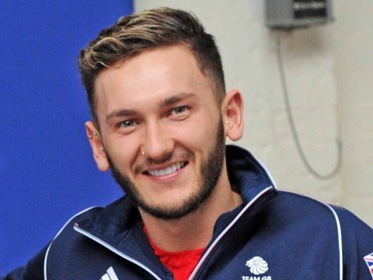 Luke, who is a British and European trampolining champion, lives and trains in Liverpool and grew up training at the Grange Road West gym where the bouceathon was held. Luke was a great help in giving advice on how to train and what to eat during the marathon trampolining session, and we are grateful to Luke for his advice and support. Dame Stephanie Shirley began her lifelong passion of helping people who have autism when her son, Giles, was diagnosed with autism and severe learning difficulties. 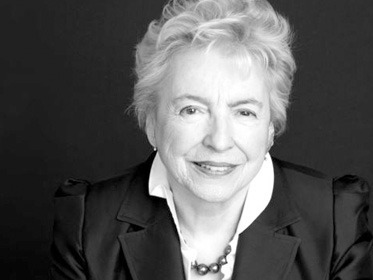 Through the success of her IT company, Dame Stephanie was able to help organisations across the country develop new services for people with autism. Her work began with Autism Together when Giles Shirley Hall, a residential unit, was in a state of disrepair. She kindly donated £800,000 which helped create 4 shared flats to accommodate 11 service users, an IT suite, and a large space used for performing arts. Dame Stephanie has continued her support throughout the years – attending our concert at the Philharmonic Hall and speaking at our AuTech Conference, and we are so thankful that she has enjoyed watching our organisation grow into what it is today.